Just in time for the first week of December, Deanna has posted her NEW Gingerbread Man Unit. Go to Teachers Pay Teachers to purchase it! You can purchase the 50 page unit for only $8! The unit includes: an original Gingerbread Man story written by Deanna. Picture cards and word cards for students to rebuild the story in a center. A gingerbread man syllable sorting center with full color picture cards and two recording sheets to fit the needs of your students. Literature response sheets, Full color directions for making a gingerbread man pie graph, students sheets for analyzing the data, graphing sheets, math journal word problems and manipulatives, a gingerbread man bubble map and more! This packet includes a holiday and non holiday version. I have seen all of the activities in this unit!! They are are so great and LOTS of FUN!! Everyone definitely needs to purchase this unit for their classroom!! I also love the writing about the Wampanoags and their homes. 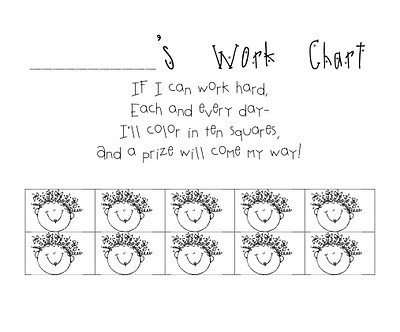 On What the Teacher Wants, I love the work chart for students who have trouble finishing their work. 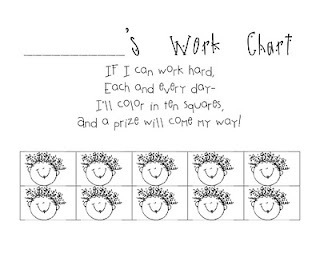 I also love the post on growing and repeating patterns. Here are a few new blogs I have found this week. They are great! Check them out! 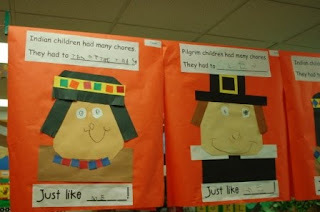 New Blog and Cute Scrapbook Turkeys!! A fellow blogger just emailed me to share her blog. Everyone should check it out at Literacy and Laughter. 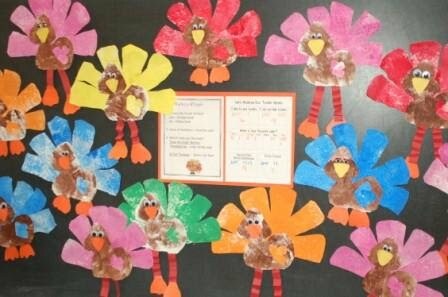 Amy did the neatest scrapbook paper turkeys with her students and they wrote great signs for their turkeys. A former co-worker of mine just starting blogging. 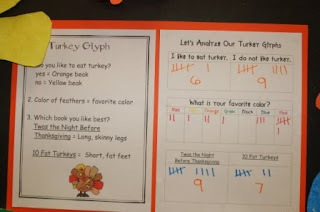 Check out her blog for new ideas at Crayon Bits- A First Grade Blog. Today, I modeled a lesson on nouns and verbs. 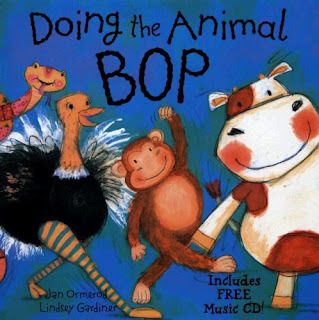 I used the book Doing the Animal Bop. 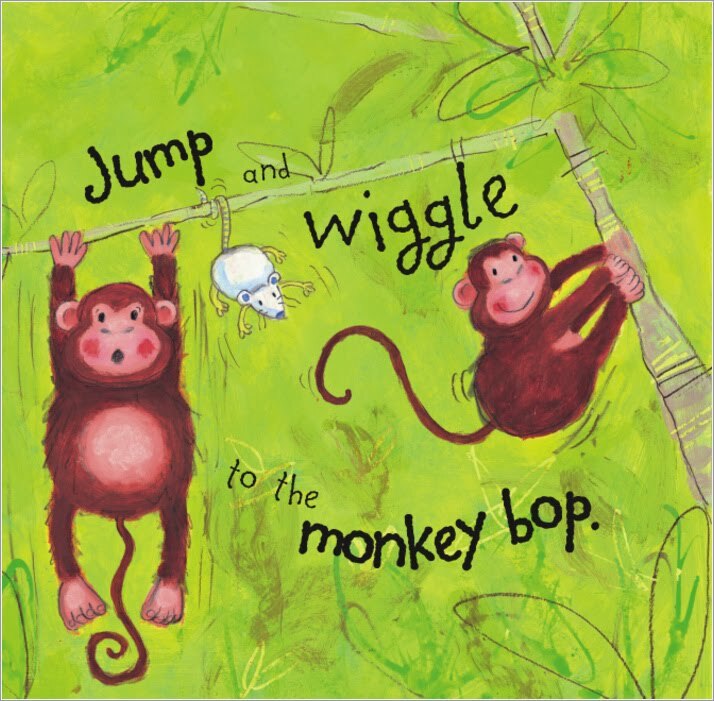 First we read the book just for fun and acted out the animal movements together as we read. Then we read the book and looked for nouns (naming words) and verbs (action words) on each page. We focused on the animal names (nouns) and the animal actions (verbs). We read the book again, still acting out the animal movements, but stopping on each page to find the noun and the verb. After this reading, the students took turns pulling a stuffed animal out of a big basket and naming it and telling something it does. For each animal, I had the students repeat back that nouns are naming words or words that name things and that the name of the animal is the noun and that action words are verbs and that the action the animal does is the verb. If I had my own class of students, I would reread this book and have students create a tree map or a bridge map. To create a tree map, the heading would be the word "words" with a branch for "nouns" and a branch for "verbs". I would have students draw and label pictures to go in each group. To create a bridge map, the relating factor would be the animal and its action. I would have students draw and label pictures of the animals and pictures of the animals doing something. In both cases, the students would draw their pictures and then we would put them on the maps as a whole group. The examples below are not nouns and verbs. They are just examples of a tree map and a bridge map so that you can make sense of my explanation above. Here is a new web site I want to share with you!! Miss Sterczek's Rock Star First Grade Site. Check it out!! This new blog and site were introduced to me this week too- Under the Apple Tree. And...if you have not already seen...Deanna Jump has a new Christmas unit on Teachers Pay Teachers. You can preview the unit on her blog. Happy Shopping!! Indian Symmetry- I love it!! 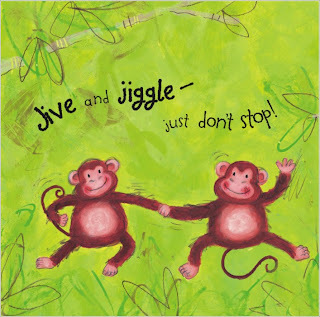 Mrs. Lee just posted this lesson on her blog. What a great idea!! 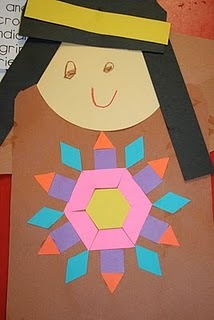 She made a larger version of the TLC Indian and had her students add a symmetrical design using paper pattern block shapes to the shirt. Melissa and Nicole from Lesson Plan SOS have so graciously offered to give away a $50 gift certificate to use on their site for the month of November. To enter, all you have to do is post a comment to the following question "What are you most thankful for?" A few new items I found at Lesson Plan SOS that you may want to check out are The Guided Math Icons and Guided Math Schedule, the 50th day of school celebration packet under the "November Social/Science" Ideas, the Pilgrim and Native American Venn Diagram and Thanksgiving Celebration File, and all the items in the Teacher Reading Binder inspired by Fountas and Pinnell under "Must See Buy Me." Be sure to leave your email when you comment. The give away will end at midnight on Saturday, November 20th. The winner will be chosen in a random drawing. Good Luck!! Some of my Favorite Posts This Week! Here are a few of my favorite blog posts for the week. When Amelia was an infant my mom subscribed her to the Dr. Seuss book of the month club. When 6 Sticks came in the mail I knew it would be perfect for kindergarten. Since we are reviewing numbers 6-10 this week, I raided Amelia's book shelf and snuck it out of the house (she is not happy when I take her things to school!). We read 6 Sticks and watched as the mice came up with many different configurations to use 6 Sticks. The kids were very excited to get their own craft sticks and make a picture. It proved to be quite tricky to incorporate 6 craft sticks into what they wanted to make. I was fascinated to watch their individual planning process. Some drew a picture right away and fit the sticks into their design. Some played with the sticks first, glued the sticks down, and then drew the picture around the sticks. I gave each student the sentence 6 sticks make _______________. and I helped them fill in the missing words. 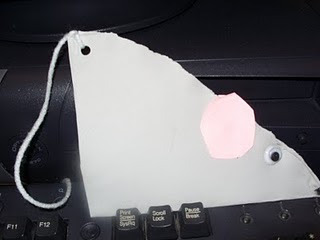 This week, I modeled a lesson on shapes in a kindergarten classroom. We read the book Shapes that Roll. We focused on the circle and its attributes. We created a Venn diagram to compare the similarities and differences between a circle and a square. Then students did a sort - circles and not circles. As they sorted, I walked around and asked them why they sorted their shapes the way they did.